Łódzka Kolej Aglomeracyjna (ŁKA), passenger rail operator from the Łódź region in Poland, currently operates twenty 2-car FLIRT3 EMUs from Stadler Rail. The introduction of these new trains has resulted in an impressive increase in ridership in the region, so the need for extra rolling stock is obvious. On 28.02.2017, ŁKA signed a contract with Newag for the delivery of fourteen 3-car trains of the type ‘Impuls 2’. It is the conclusion of a controversial tender process. Initially ŁKA selected Stadler Rail for the order, but Newag appealed to this decision, and with success. ŁKA re-evaluated the bids and Stadler’s bid was then declared invalid. 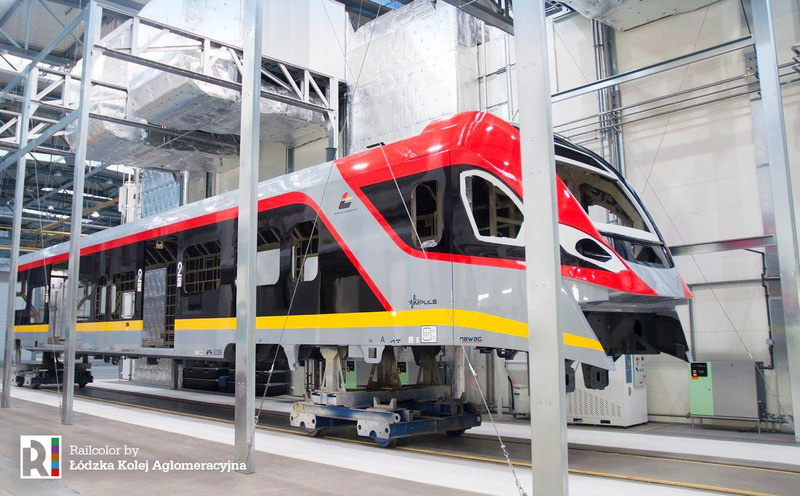 Then Stadler Rail filed a complaint, but still ŁKA and Newag decided to sign the deal. On 13.04.2018, ŁKA published the first images of its future Impuls2 EMU. We see a front car ready for assembly. 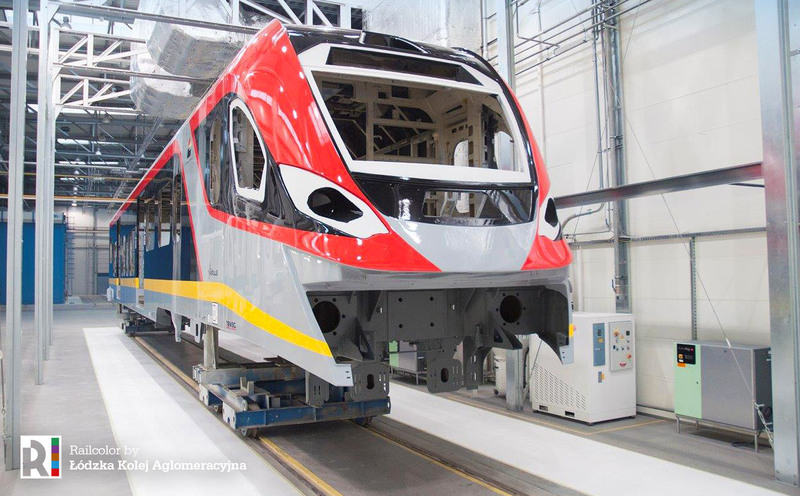 The new Impuls 2 trains are to be delivered in 2018-2019. The contract includes the maintenance of the trains for a period of 12 years. With the new trains LKA wants to extends its services to Piotrków Trybunalski, Tomaszów Mazowiecki, Opoczno, and Radom.